Here’s The Solution To Your Dog Waste Pollution! We give you more time in your day to enjoy a cleaner, healthier yard. Spend that extra time enjoying your family. We help American families Go Green by cleaning up after their pooch. We recognize the high level of trust you place in your Home Service Providers. So that you may never worry or have a concern about our technicians who clean your yard, every one of our employees is insured, bonded and goes through an extensive pre-employment background check. They also receive training in dog behavior so they will know when Fido doesn’t want her yard cleaned. We provide the highest level of customer service. We know you are inviting us onto your property and that is a trust that we value and will always respect. We give you more time in your day to enjoy a cleaner, healthier yard. Spend that extra time relaxing with your family. It can transmit disease, attracts flies and kills your grass. You love your dog, you hate the waste. You keep the love, we take the ‘yuck’ away leaving your yard clean, sanitized and deodorized. At whatever frequency you desire The DogSmith will come to your home and make your yard pet waste free. Whether you need us biweekly, weekly, bimonthly or monthly we have a plan to fit your budget. Family reunion coming up? We do special cleanups for special events. 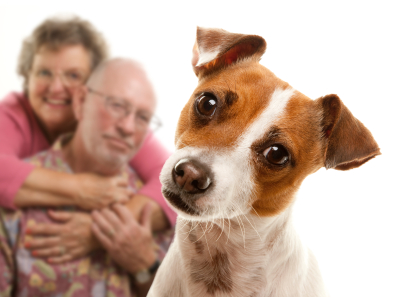 Did your Houseguests bring their dogs leaving you with too much yuck to handle? We can handle seasonal or short term assignments. No contracts, ever. Sign-up anytime, cancel when you don’t need us. For more specific information about how The DogSmith services your yard go to our service detail page. If you are dissatisfied with our service we will reimburse you for the visit. We will also come back to your yard within 24 hours to ensure you are satisfied with the quality of the cleaning. You will NOT be charged for either of the visits. We service both residential and commercial accounts. We sell Install and service Pet Waste Stations. We are a supplier of Poop Tools, Poop Bags and all Pooper Scooper operational equipment at wholesale pricing. We are a locally owned and operated business. We offer accurate and consistent billing. We are a call away from service requests and we guarantee all our services or you do not pay. No contracts start and stop service whenever you please.